Yes the entire Ideat Village Festival (which has been a New Haven festival for artists, musicians, and anything underground and oddball for the past 13 years) is not happening in 2013 but one of their greatest events will be! The Rock Lottery! 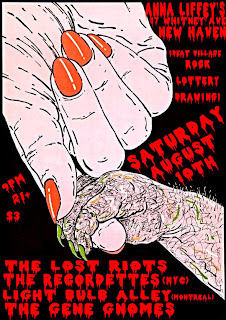 The drawing for The Rock Lottery will be held August 10th at Anna Liffey’s Pub on 17 Whitney Ave in New Haven at 9 p.m. This is going to be a really special event so mark your calendars now!